The gangs detailed in this essay were not formal gangs with initiations and that type of thing, but loose associations of individuals who self-identified with a certain area or location. The essay deals with the 26th St. boys, La Veinte (or Twentieth St.), La Veinte-and-a-Half, Folsom Playground, and Los Diablos (a Puertorriqueňo car club). Some other groupings are simply listed like 22nd St. @ Florida, Day St, 22nd St. @ Dolores, 24th and Hampshire. Also explained as significant spots are the Doggie Diner and Hunt’s Donuts. The following essay was written to document the period of history of 1964 to 1972, a history that saw these youth associations or gangs transformed into political activists for some time. It also documents the unfortunate decimation of this generation of Mission District youth. Paradoxically, the youth in this generation as a whole were part of the transformation in this district and of the country. They were part of the sixties and seventies. Los Siete Defense campaign, UFW (United Farmworkers), MCO, Nicaragua support and other activities were what this generation participated in and helped to accomplish. Environmental, gender equality, recovery were and are the grander social issues of its concern. The essay deals with the so-called called gangs that existed in the Mission District of San Francisco from the time I arrived in SF to when I exited the street scene. Gangs existed in a broader span of time, but 1964-1972 is the time I was in touch with the scene. The dictionary defines gang as a group of persons having informal and usually close social relations, a further definition is, "a group of people associated together in a common activity or by common traits or interests." More at the popular perception of gangs, the dictionary also defines gangs as, “a group of persons working together to unlawful or antisocial ends, especially a band of antisocial adolescents.” In the Mission the common traits or interests can be recreation or lack of; national origin, i.e. Puerto Ricans, immigrants; the use of Spanish or other languages or being Spanish-speaking or English-speaking; sexuality, females may not be included in a group like at La Veinte (a form of misogyny or hatred, dislike, or mistrust of women); geographic proximity in a neighborhood like at La Veinte (Twentieth St.), at Folsom Park or Rolph Park, 26th St Boys, 22nd at Dolores (Edison School) and 22nd at Florida, 24th St.; any one or more of these may include or exclude persons in the “gangs.” Today gangs are sometimes referred to as a "crew." The traditional Latino immigrant would refer to streetwise Latino youths as pachucos this term was superseded in the '90s for the term cholo. 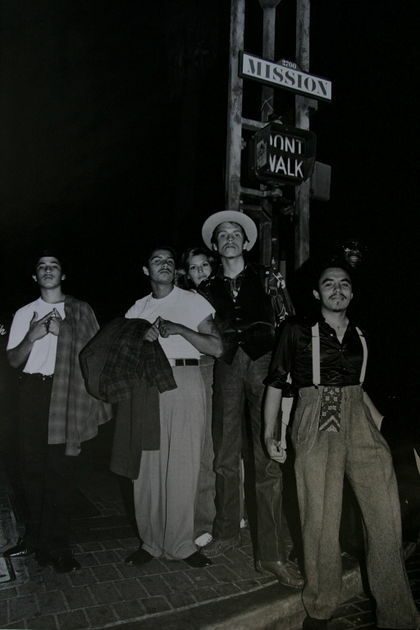 Pachucos came from the '40s, like those of the Zoot Suit period of Mexicano history. Left-leaning elements could call these persons lumpen—short for lumpen proletariat a phrase coined in 1850 by a famous philosopher, from the German lumpen (rabble)+ proletariat (the property-less; akin to the condition of the working class, today the vast majority). Other reasons for youth gravitating to gangs is that for those without a positive support network they provide the family and comradeship that humans need as a social animal. Among gangs, one finds the honor, respect, emotional support at large and acceptance that society might not provide to these individuals. There is honor among thieves. The crew might also provide material and financial benefits. Furthermore, individuals gravitate to ripping and running in the streets either in gangs or alone for a lack of family cohesiveness or due to family dysfunction such as shame, anger issues, abuse, lack of affection, or other issues. Some of these can be: absent parents due to their working double shifts, low status, and dead end jobs which tend to be night or shift work; parents may have alcoholism or drug use issues; broken and separated families; culture shock; discrimination or not fitting in socially at schools or jobs; overcrowding and or substandard housing; or cultural preferences and lack of opportunity. Among the local youth of the time frame in focus there existed a primary divide between the bards and the whiteshoes, the bards listened to KDIA or KSOL or that is say they listened to soul music, dressed in slacks, generally combed their hair in a pomp and had other characteristics in common; the whiteshoes listened to KYA or surfer music, dressed less formally by using jeans, desert boots, and other identifying characteristics. A common question when meeting new people was; what radio station do you listen to? The term whiteshoes originated when the Catholic schoolboys wore as uniform two-tone white shoes would fight with the more “ghetto” bard kids. Whiteshoes were white boys and gringo-ized Latinos. When I arrived in SF in 1964 I was placed at Horace Mann Junior High, here the Mission youth intermingled. I suffered a culture shock when I arrived here. Having recently arrived from Mexicali and three years in small agricultural border towns, Calexico and Brawley, where among the Mexicano population there existed a rudimentary honor code of respect, I saw students playing a game of spitting on each other, which I considered the utter disrespect. Then I didn’t know that these were 26th St. Boys associates, later I realized these were those guys. A sense of respect was ingrained in me, I was shocked by this behavior, same for when this loud talking little fat black girl kicked me in the behind for no apparent reason as we were walking out of a science class. This type of behavior was foreign and frightening to the youngster from small towns having migrated to the large metropolis. As we got older, many of these students went to Mission High. 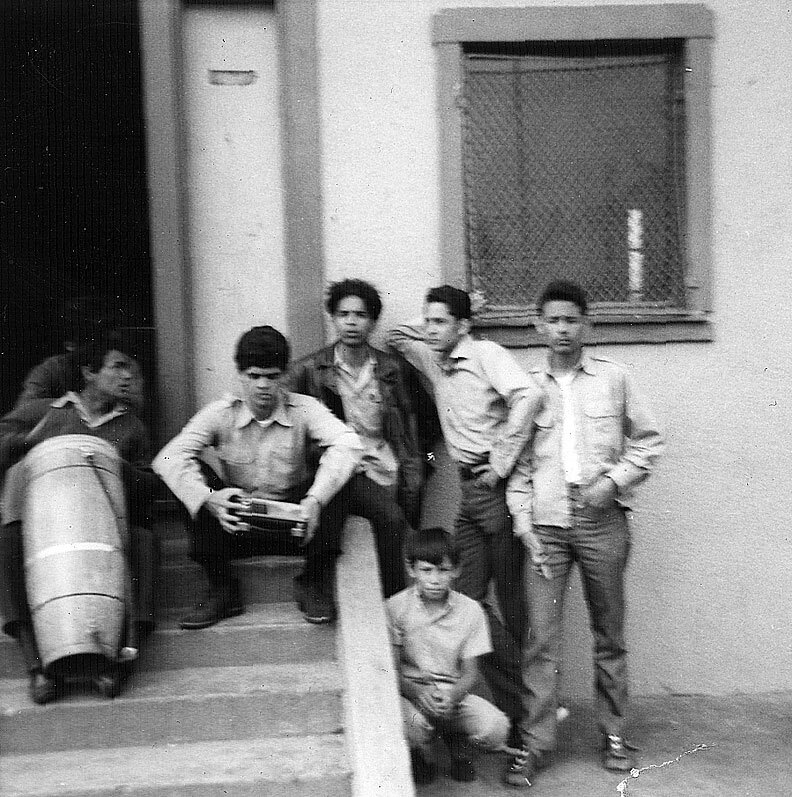 When we graduated but even before that we left, mostly dropped out of school, many of the youth began running the streets until people left the Mission, settled down, married or went to work; of course, many are still around the life. The street lifestyle led many to extensive prison stays. The Cisneros family was the first acquaintances of mine who left the Mission for Hayward. Emigration, which continues today, became a common way to lose friends. 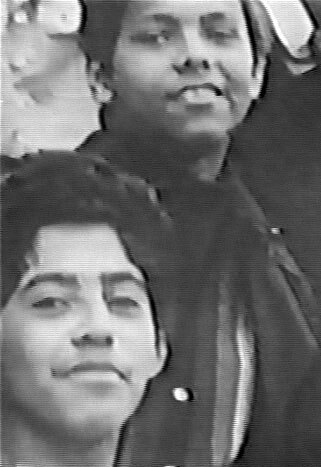 The Cisneros were five brothers who had many friends at Folsom Playground. For me, when they left they left an emptiness like when the circus leaves town. After school, the kids went on to their little neighborhood hangouts where kids group-up to their corresponding friends, crews or “gangs.” If your family is absent from home or emotionally not there for you, these were family. Back in the day, the gangs didn’t have the trappings gangs have today such as initiations, guns, drive-bys, etc. They were mostly loose associations of guys and girls who frequented the same places such as Folsom Park, the pool hall on Mission at 20th—known as Twentieth St. or La Veinte, 24th St., 26th St., Lucky Alley, 26th St. overlapped with the Lucky Alley Boys, or 22nd Street (at Edison School or at Florida Street) and Day St. The gangs were mostly Latino but were also multi-ethnic and multinational (of course also multi-cultural) including brown, black and white; as well as Nicaraguense, Salvadoreňo, Chicano, Puertorriqueňo, Asian and Pacific Islander and others. They were mostly English monolingual. This is a brief exposition of the situation and of the youth in the hood, circa 1964 to 1972. Some went on to do well for self and family others got stuck in a vicious cycle and didn’t make it through. In general, this generation was decimated by many factors; personal and family dysfunction, family issues, and social problems. Culture shock, racism and discrimination, poor educational institutions were some of the social obstacles. On the personal side shame, drugs, low self-esteem and poverty contributed to their demise. Others manage to navigate the obstacles and made it through the circumstances at hand. On the positive side, this generation of youth is part of the youth generation that changed the mores of the US in the '60s and '70s. This essay is an attempt to share a reality hidden from view.